In the world of popular music, dominated as it seemingly is by acts that sound the same, that sing about the same frankly boring subjects of how great their party is, how many girls they’ll be with and how much wealth they have, it is always like a beacon of light, an oasis in the desert when a fresh voice makes sounds that are unusual, individual, original and inspiring. Often these individual’s have to struggle for years to get the exposure; even the greats like David Bowie spent years in the wilderness, honing their art, finding their specific voice and earning their right to be as good as they are. They certainly didn’t take the short route and take some media moguls dollar for instant stardom (and similarly fall into certain obscurity). And for this they are always, and quite rightly so, seen as more worthy of critical acclaim. One such artist is the singer/songwriter from Brighton, Mike Rosenberg, better known as Passenger, the alter ego he has continued with after being part of a band with same name in the early noughties. Rosenberg, spent years gaining a small following, before being ‘found’ with the release of his major hit, Let Her Go, from the 2012 album All The Little Lights, an album, that could have and perhaps should have, lifted him into the stratosphere. 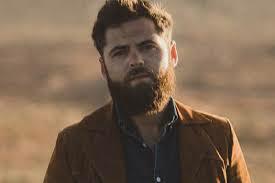 However, Passenger seems more content with retaining control of both his exposure and his creative output, happy to put out what he wants to, creating music that seemingly says what he wants to. His album, Runaway, released in May 2018, is the perfect example of this. Featuring 10 songs, inspired by journeys across the wide open spaces of the west of the USA, and a little over 30 minutes long, Runaway, is lovingly crafted album featuring Passenger’s distinctive voice, singing songs of lost hope, broken hearts and drifting despair. 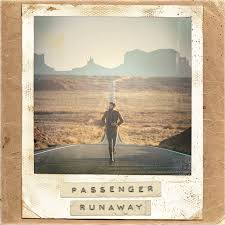 As the title suggests, Passenger is running away, but from what or whom? Well it soon comes apparent from his poetic lyrics, that seemingly he is running away from himself in an attempt to also find himself; is this even something achievable or will Passenger just find himself like ‘rolling stones (who) never find the home (and) won’t know love?’ For sure there is an overwhelming feeling of loneliness, magnified by the huge open spaces Passenger finds himself in that permeates the whole album. For me, Passenger is a poet of rare quality for which the music, whilst beautiful and atmospheric, is really just a conduit for his wonderous lyrical abilities. Runaway is an album full of that great poetry that builds an image of a tortured soul struggling to come to terms with his environment, his life and his circumstances. But not without hope, partnered as it is with his dry and acerbic sense of, deeply black and self-depreciating, humour. But still perfectly miserable, bleak and thought provoking. A little gem.